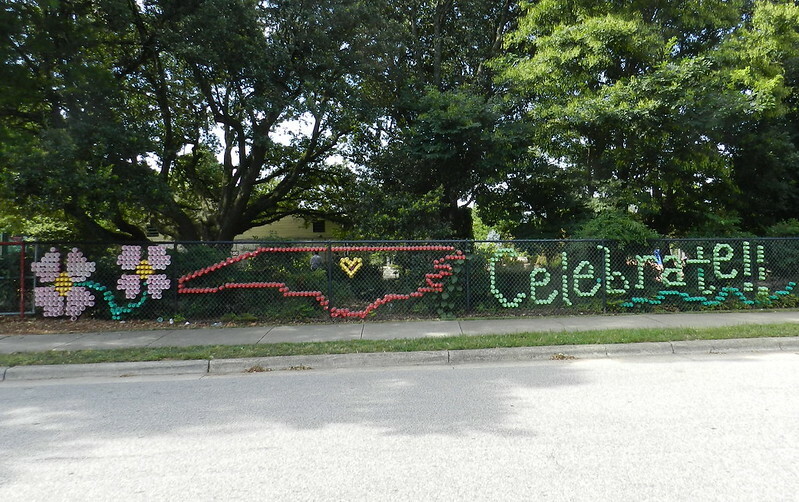 I thought the sign made out of colored cups was a clever way to snaz up a plain fence. The map of North Carolina looks pretty accurate too. Sunday morning was a pleasant day to wander around the arboretum. Ah, I didn't even notice the map until you pointed it out. The arboretum does look like a nice place to visit. hah! that is a great way to put up a signage. love it. What a clever fence decoration! Very nice. Oh, yes!! What a terrific idea and what a great fence it is! 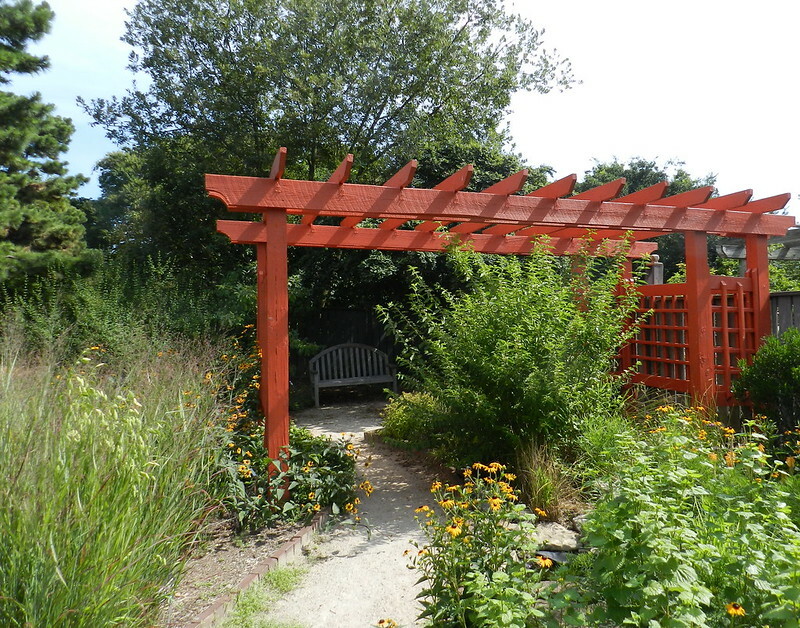 Looks like a lovely arboretum and a great place to spend some time!! Hope you have a wonderful week, Carver!! Enjoy! My world would be a good one any time it included a visit to your arboreteom. Cute fence decoration ... That map took some skill! Be a cute post for the Good Fences meme too. That sign must have taken forever to make one cup at a time! the fence image is cute. I need to visit our arboretum again too. Wonderful idea, those cups. Looks quite festive indeed. I am fascinated by the clever use of those cups. I like the fun decorations. The arboretum looks like a pretty place to visit.. Thanks for sharing, have a happy week!